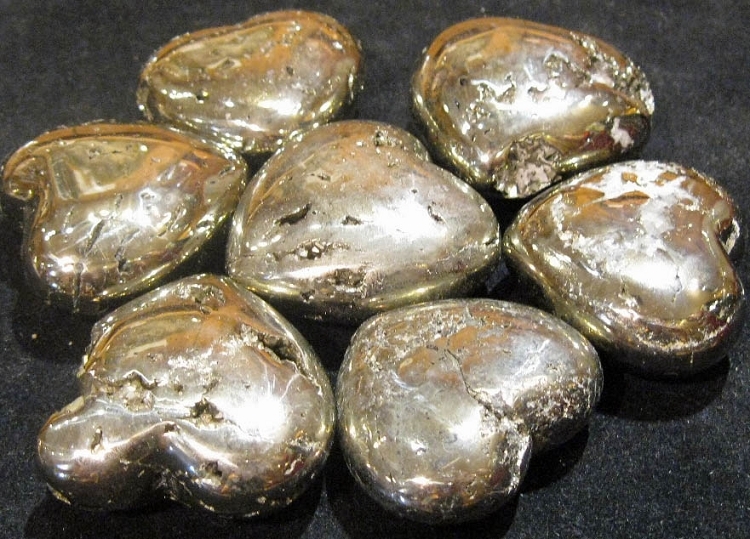 Iron Pyrite Heart - 2"
Pyrite: Thise rock is the most abundant and widespread sulfide and at occurs in all types of rocks and veins. It is used chiefly to produce sulfuric acid. Pyrite generally forms cubis crystals on a fresh surface. It is called "fools gold" because it is closer in color to "white gold" than pure gold. You will receive an item similar to that pictured; each item is unique.